Where Do You Learn HTML & CSS in 2019? Hey CSS-Tricksters! Bryan Hughes was kind enough to take a concept from an existing post he published on converting to TypeScript and take it a few couple steps further in this post to elaborate on creating reusable base classes. While this post doesn’t require reading the other one, it’s certainly worth checking it out because it covers the difficult task of rewriting a codebase and writing unit tests to help the process. An Event Apart Boston is Coming. Save Now! ...we’ve become obsessed as an industry with brevity and clever code, and it results in code that’s sometimes less performant, and typically harder to read and make sense of for most people. Vue offers several ways to control how an element or component visually appears when inserted into the DOM. Examples can be fading in, sliding in, or other visual effects. Almost all of this functionality is based around a single component: the transition component. WooCommerce recently made an entire overhaul of its highly visible dashboard screen in the WordPress admin available as a new plugin that can be downloaded free from the WordPress Plugin Directory. The new design is gorgeous, of course. I mean, anytime WooCommerce touches an admin screen, other plugin developers really pay attention because it influences they way many of them approach UI in WordPress. If you've ever had to display an interactive animation during a live talk or a class, then you may know that it's not always easy to interact with your slides and while talking. Since the early days of science fiction, we have fantasized about machines that talk to us. Today it is commonplace. Even so, the technology for making websites talk is still pretty new. We can make our pages on the web talk using the SpeechSynthesis part of the Web Speech API. This is still considered an experimental technology but it has great support in the latest versions of Chrome, Safari, and Firefox. I wrote that using inline <svg></svg> icons makes for the best icon system. I still think that's true. It's the easiest possible way to drop an icon onto a page. No network request, perfectly styleable. There is always a pause here. The client knows what they're asking, and I know what they're asking, but putting it into words—saying it out loud—turns unexpectedly difficult. Need to Test API Endpoints? Two Quick Ways to Do It. Developer-first eSignature API that checks all the Enterprise boxes (and more). 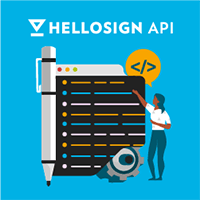 Try HelloSign API for free today.